For love. Remembering how to love freely and take care of yourself. So you can love freely and care for each other. It’s transformational. 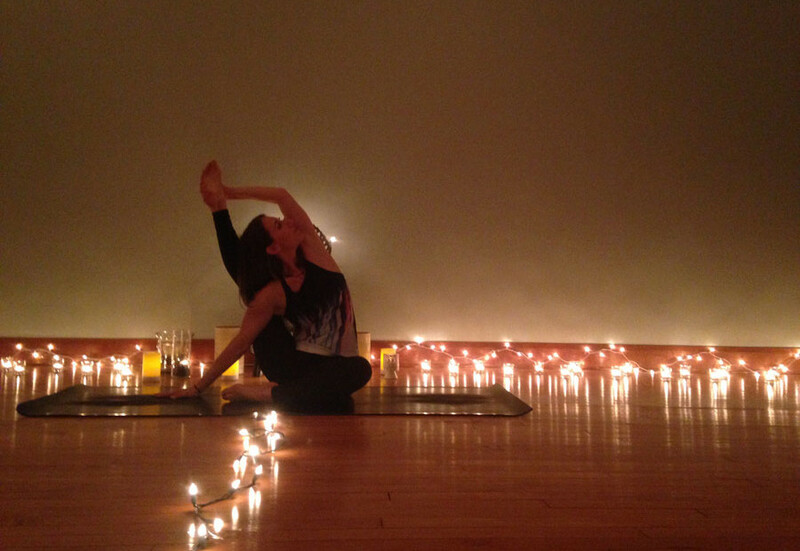 Yoga teaches you how to be ok with yourself however you are, however you feel, no matter what. And through that practice of self acceptance, there is a shift. For re-connection. For kindness and compassion. The practice of yoga is the opportunity to CONNECT with yourself and each other. At its fundamental nature, feeling the breath is yoga. My husband, Andy, and I moved here from Chicago on Halloween in 2009. I remember when we moved and how lonely, anxious and scared I felt. We had left our secure lives in Chicago so he could pursue his dreams. While it was a big decision, it really was not difficult to make. It was all about LOVE. We wanted to do something that had a positive effect on the world. We wanted a simpler life. We wanted to be closer to each other- to love each other, love how we spent our days, love the life we created. Yoga was part of my life then, but as a home practice. But it wasn’t until Andy encouraged me (it was more like a strong PUSH) to take a public yoga class that I realized what I was missing. People, community, energy and CONNECTION. That first class was the beginning of my new journey. 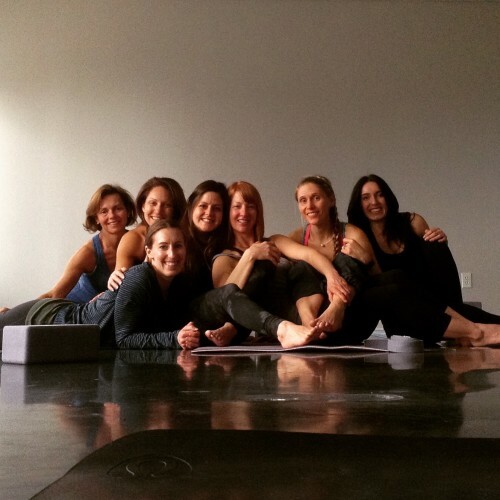 Connecting with the incredible community of yogis in Columbus, making lifelong friends, stepping into the realization that I may be able to give back to the community what it had given to me- Purpose, guidance, acceptance, support, strength. That was such a delightful time of rediscovery- to watch my path illuminate in front of me. 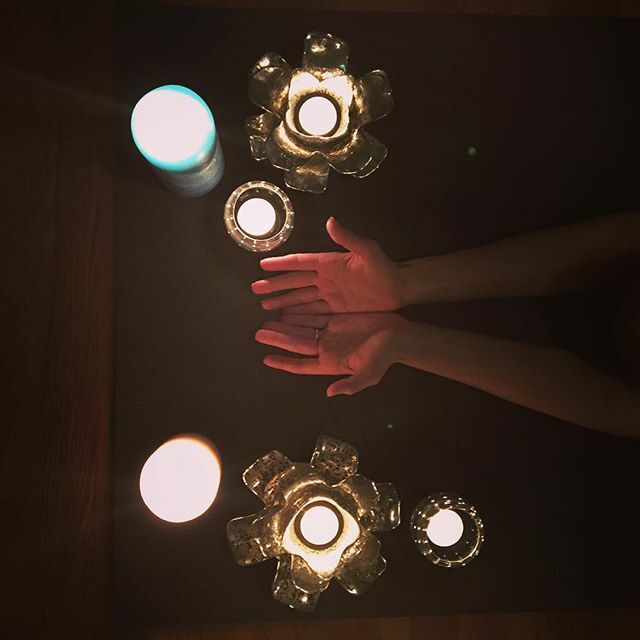 Teaching yoga is my calling to provide a setting- an opportunity- for other people to feel, to connect to themselves and to each other, to remember a feeling of wholeness, strength and LOVE. My hope is that through the practice of yoga we remember how to love ourselves, how to love each other and how to spread love and light to the world. 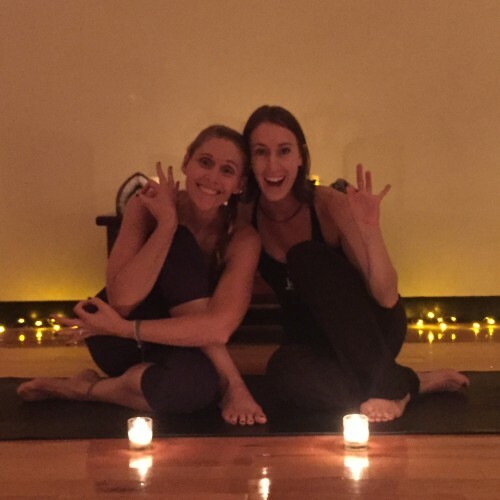 Join me and this beauty on my left, Michele Vinbury, as we lead you through a candlelit vinyasa class themed around celebrating your inner light and goodness and spreading that amazing energy into the community! ALL proceeds benefit the Anahata Food Program. This program grows food to serve local food pantries. An amazing way to give back to the community you live in!